There are many names for coders: computer programmers, software developers, computer scientists, software engineers, etc. But regardless of the name, coders are problem-solvers and relish logic and creativity. Coders manipulate program designs into computer languages that the computer can understand and follow. Computer programs benefit business, community, scientific and social needs. Without coders, people would not have the lifestyle they enjoy today. Computer programmers help people and organizations. Their programs may run behind the scenes of modern-day technology, but computer programs directly influence and shape our societies. Good programmers are obsessed by logic and efficiency, and therefore create software designs that increase the rate of solutions and opportunities, especially around the service industries and more recently education. Computer scientists are not only the creators of technology, but also simultaneously the protectors of people’s digital footprints. For instance, they have enabled people’s ability to shop online, but have also created security programs to protect people’s online purchases and bank information, and safeguarding other personal information online. Computer programmers have modernized the education systems and workspaces. The internet has become the go-to for everything—research, work, shopping, news and entertainment. Programmers are changing the way people learn and expanding our ability to bring high quality education to underserved people and communities around the world. For example, The Hour of Code is a global movement that reaches tens of millions of students in almost 200 countries (Hour of Code, 2017). Anyone, almost anywhere can organize an Hour of Code event. This event is an example of how people learn, work, and live today; it is intertwined, online and powered by code. Over the last couple of decades, technology and programmers have revolutionized the way the world communicates and organizes. The spoken and written word has evolved into emails, mobile conversations, social media feeds, photo sharing, event sharing and video conferencing to name a few. Programmers have not only affected the ability and speed to communicate, but also increased the audience people can now reach, such as friends, family, politicians, celebrities and philanthropists. It has also opened new ways to generate revenue, such as crowd funding. The world’s ears are at anyone’s fingertips with access to technology. Figure 1: Computing is No. 1 new wage source in America. Programmers not only influence how people organize, but what people organize, such as “big data.” Large data sets can now be analyzed computationally to report on patterns, trends and associations, especially relating to behaviors and interactions. This data control has impacted how people and organizations make decisions. Big data decides the services people provide and the products made like no other time in history. This also influences the accountability in the decision-making processes. The ripple effect of coding is far-reaching and impactful, and must be realized and supported in our communities, education systems and work places (Ruesink, 2015). While technology has been constant in people’s lives, the ways that schools use technology has changed remarkably over the last several decades. Educators have transitioned from stationary computers to mobile devices, and are just now beginning to think about how to teach and use coding in the classroom. Most people are intimidated by the thought of learning how to program or code; however, more than ever before, organizations and companies are developing fun, interactive resources and games to increase the enjoyment of learning to code. Programming becomes easier with a little determination and continued practice (Depauw, 2017). There are approximately 15,000 open computing jobs in Ohio today with just over 1,000 computer science (CS) graduates. 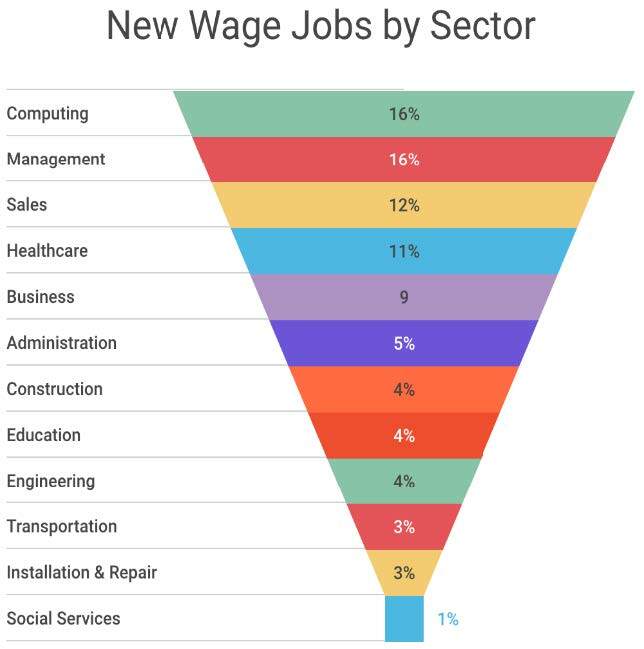 Computing jobs are the number one source of new wages in this country and every student should have a chance to learn about algorithms, how to make apps, or how the internet works; refer to Figure 1. CS is not vocational, it’s foundational (Code.org, 2017). Every student deserves a 21st century education and coding is an integral part of that education. Change the Equation (CTEq) is a non-partisan corporate coalition dedicated to enhancing science, technology, engineering and mathematics (STEM) learning for all children. 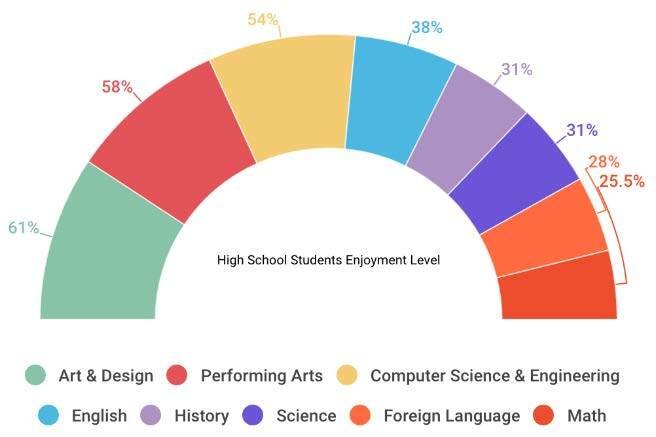 CTEq has researched high school students' quality of enjoyment by subject, and found students enjoy CS and the arts most in their education experience (refer to Figure 2). However, in Ohio, there is no dedicated state funding for computer science, no requirement that computer science be offered in high school and no K-12 computer science curriculum standards. Figure 2: High school students like computer science. Second, decide what software is needed to learn each language and which resources and courses will help a coding pursuit. 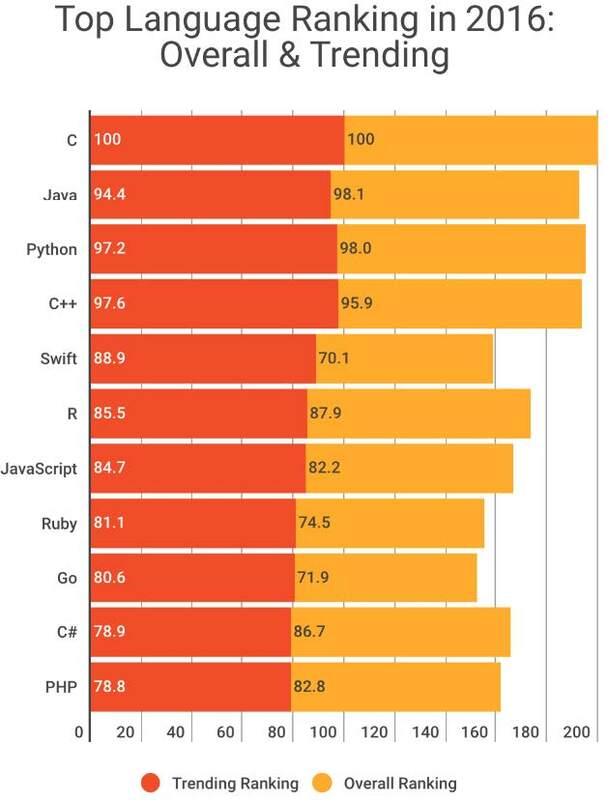 Some of the most popular languages today are depicted in Figure 3, which looks at the overall ranking of coding languages and which languages are trending amongst its usership. Figure 3: Top programming language in 2016. Introducing coding to kids can be intimidating for educators and parents who are unfamiliar with coding. There are now many new innovative resources, tech accessories, apps and learning programs that have interactive, project-based or game-oriented approaches to make coding fun for all ages; generally, ages 5 and up. Education and career pathways decisions have moved up in recent years; parents and students now have to start making school-track decisions as early as middle school. For this reason, early exposure to CS courses can be a multifaceted gateway that can lend itself into serving many different applications, because the subject provides students with an expansive skillset used in many different STEM careers (science, technology, engineering and math-based careers.) This is because CS strengthens computational or algorithmic thinking skills that are becoming a requirement in today’s technologically driven workforce. Having strong logic thinking and problem-solving skills is a benefit to all careers. Computer scientists are also very involved with the sciences of innovation and breakthrough technologies, which are happening at an accelerated rate. But while CS supports many STEM career pathways, the programming aspect within CS requires rigorous study, and building that competence in programming is often lacking in the K-12 educational systems. If offered at all, a CS course is usually a general elective teaching foundational skills, and lacks the AP or secondary accreditation levels to challenge and push the students’ mastery in advanced programming knowledge that will better prepare them for a post-secondary education and career attainment. CS education is important and should not be confused with information technology literacy classes, which do not prepare students to become programmers or software engineers. There is also value in allowing students to explore CS during their K-12 experience. First, STEM courses, like CS, better equip high school graduates for post-secondary education requirements and workforce demands. STEM schools are typically more connected with local colleges and universities, as well as local businesses and regional industries, which have a beneficial interest in local schools, education programs and what students know, or should know. Second, degrees and certification programs cost money, and it is more economical for students to explore career pathways in middle and high school than at an expense in college. Almost any post-secondary program will better serve a student who is career focused from the start rather than switching from major to major. Ohio must establish a robust CS integration starting in elementary schools, with more advanced offerings in middle and high school years. Code.org, Apple Education, PLTW Computer Science are a few examples of companies that have developed teacher training programs to incorporate computer science classes into the K-12 master curriculum. They offer products, support, training opportunities and fully developed classroom curricula. School administrators and teachers should look towards resources and professional development opportunities for educators to move CS into the master curriculum, and provide students essential critical thinking 21st century skill set to be relevant in today’s technology driven computing workforce. Carnevale, A. P. (2011, October 20). STEM: science, technology, engineering, math. Georgetown University, Center on Education and the Workforce. Georgetown University. Retrieved March 17, 2017, from cew.georgetown.edu/wp-content/uploads/2014/11/stem-complete.pdf. Code.org. (2017, March 3). Retrieved March 3, 2017, from Promote Computer Science: code.org/promote/oh. Depauw. (2017). Depauw Computer Science Department: why study computer science? Retrieved March 2, 2017, from Depauw : depauw.edu/academics/departments-programs/computer-science/why-study-computer-science/. Hour of Code. (2017, March 3). Retrieved March 3, 2017, from Hour of Code: hourofcode.com/us. Ruesink, M. (2015, December 7). Rasmussen College. Retrieved March 3, 2017, from 6 Surprising Ways Computer Science Benefits Society: rasmussen.edu/degrees/technology/blog/ways-computer-science-benefits-society/. The White House, Office of the Press Secretary. (2016, January 30). FACT SHEET: President Obama Announces Computer Science For All Initiative. Retrieved March 13, 2017, from The White House President Barack Obama: obamawhitehouse.archives.gov/the-press-office/2016/01/30/fact-sheet-president-obama-announces-computer-science-all-initiative-0. Code.org. Why computer science in K-12 Generic Presentation. Code.org. Retrieved March 2, 2017, from: code.org/files/computer_science_advocacy.pptx. Change the Equation. (2016, December 16). High School STEM Literacy: Necessary, Yet Insufficient. STEM Beats News Blog. Retrieved March 2, 2017 from: changetheequation.org/blog/archive/year/2016. Diakopoulos, N. & Cass, Stephen. (2016, July 26). Interactive: The Top Programming Languages 2016. IEEE Spectrum. Retrieved March 3, 2017, from: spectrum.ieee.org/static/interactive-the-top-programming-languages-2016. Note: title and subtitles within this fact sheet were written in varying programming languages to complement the subject of computer programming.